Our artisan will create a sketch from your picture and do the hand-carving. The package includes a chop, a ceramic jar of of ink paste, and a presentation box. Maximum image width: 3300 px. 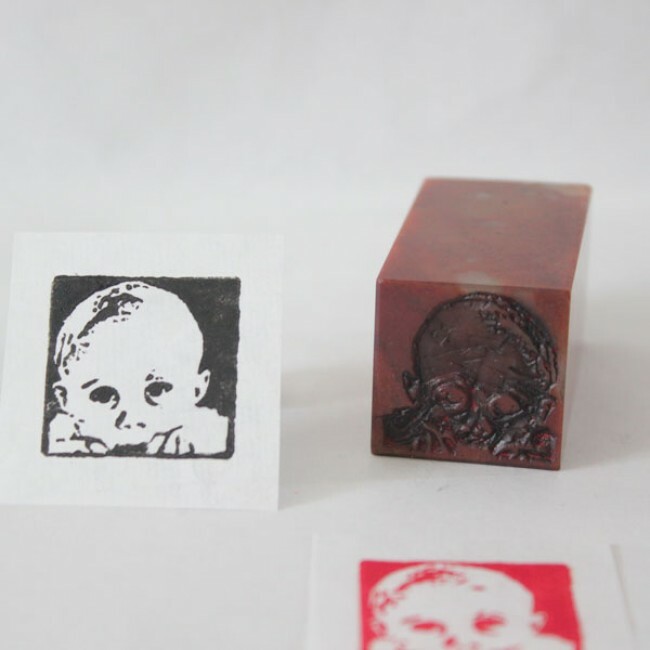 Your baby/child/kid's face on a traditional Chinese stamp (chop)! . The chop is made of NATURAL STONE and HAND-CARVED. 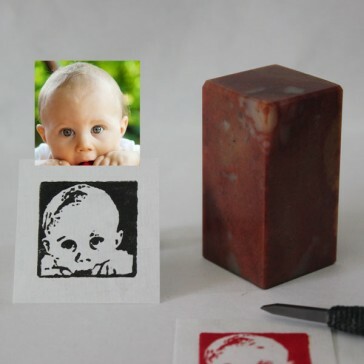 The picture shows the imprint with the black ink paste, but you can choose to have a different color by selecting the ink paste color when ordering. Step 1. You purchase this item online. Step 2: After receiving the order, we contact you by email for details after getting the order. Step 3: We design and email a sketch for you to approve. 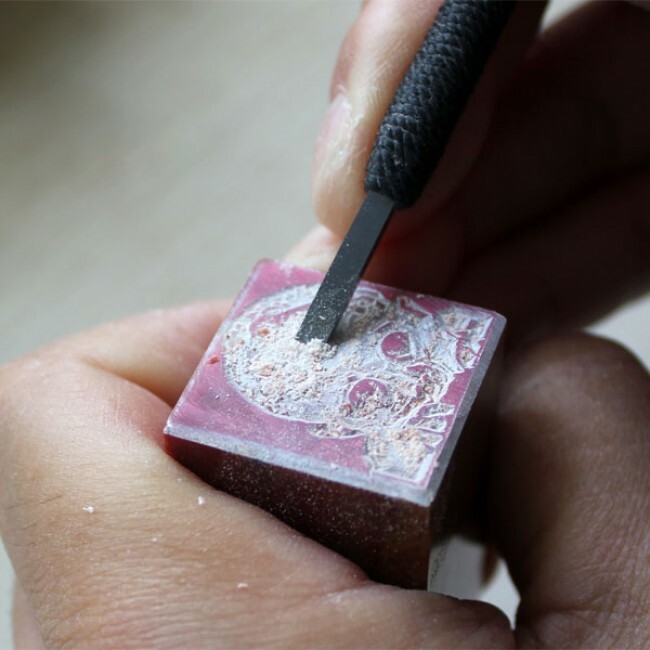 Step 4: We do the hand-carving and ship the package. The chop is ready for shipment in 3-5 business days after the sketch is approved by you. 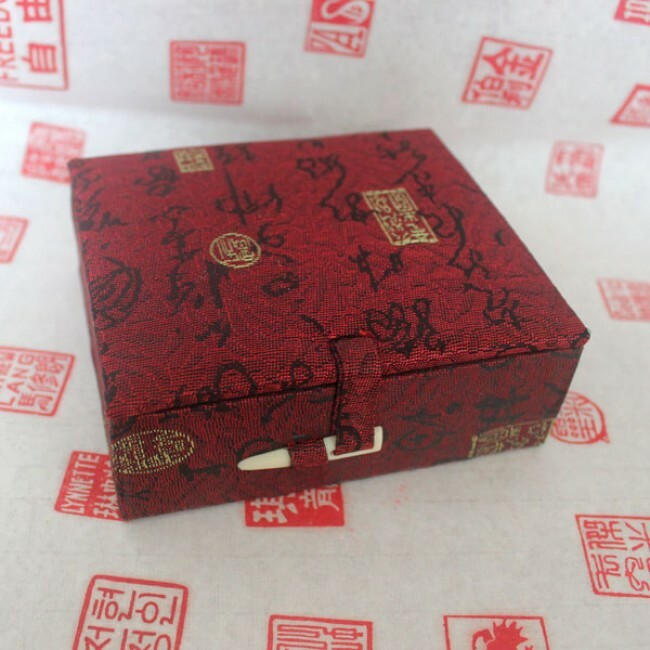 Full package includes the carving, the chop (stamp), the gift box and the ink paste in traditional ceramic jar.